Michael, the newly added member of the Asthavon family was sitting in his castle in Romania, where he had acouple demons one of the many towers working on his experimentation of blood and other things when he heard something very strange come up on his sensors. 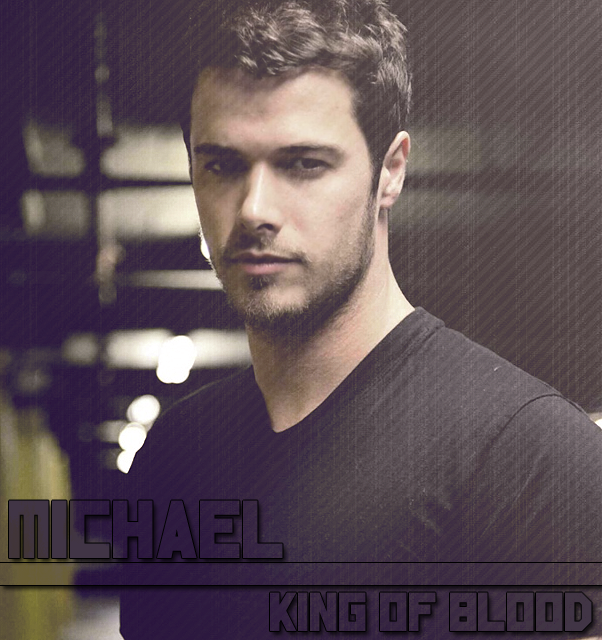 Michael also happen to be the Arch Duke of the Fifth Circle in Shadowfall,. Michael would raise to his feet as he went to go see what was causing the sensors to go a little odd. Michael would snap his fingers, and black flames would rip up his body and a suit would appear on him. Michael's suit included a pair of black dress pants, with a blood red undershirt, with a collar, with a matching blood red tie, and a black coat. Michael would then start to get his shoes together, putting them on very quickly before he would stop for a moment and think about what could have caused the sensors to do that and he then threw that thought aside as he didn't really care what could have caused it, knowing very well that he could most likely handle whatever was going to happen with him. Michael would then Shadow Step to the location where the sensors told him to go. Lightning sparked through the air as the small girl appeared on top of the tower. Pink hair flowed down her back, bright brown eyes staring out at the world, full of curiosity. She didn't look more then twelve years of age as she plopped down, humming a soft tune. If there was anyone nearby who could sense her energy, they would definitely notice her. It wasn't that her energy was particularly strong, but rather it felt extremely unnatural. The alien feel, the feeling of something that did not belong to this realm, that was how her energy felt. After a few minutes, she stood up, giggling softly. Spinning around, she looked around, taking in everything she could see about the castle in front of her. She thought about how she had ended up here, the dream she had had. Quor Tarai had spoke of a place of darkness, of death, and a man that lived within it all. Then she had woken up and found herself in the surrounding woods. Rachel stretched, letting out a soft yawn. Sometimes Quor Tarai could be really strange, but he had never asked her to do anything for him. Usually he didn't stick his head in to things in the material world, nope, he just stuck to dealing with people's dreams. Well, whatever the case, she was here now, she might as well have some fun with it. Michael would appear inside the castle, and he would look around for a moment and he could feel something extremely odd in the air. Something that what not really of this world and he instantly start to wonder what it was and who could have been causing it. He closed his eyes and he would feel a energy that is nearly impossible to exist in this world and he still had no idea what he was dealing with. As he looked closer at the energy and he could see the reiastu was extremely odd in the way it was made up, and just the way of it being made it was unique. Michael had never seen anything like this, even from his other test subjects, he had never seen or even heard of stories of this kind of power and energy and he was instantly interested. Michael would smile for a moment as he knew what he would most likely need to do, and he would close his eyes and his clothes would instantly changed. Michael had changed quite a bit from what he looked like a moment ago as his body clearly looked more bulky as if he put on nearly twenty five pounds of muscle and he was no longer wearing a shirt, but unlike last time he saw him Michael was wearing no armor and he was covered in tattoos. Michael's chest was filled with demonic and tribal tattoos, all of them seemly coming out of a center point which was the Asthavon family crest and even someone as inattentive to politics should know what the most powerful family in the world's crest is. Michael was still wearing his normal black jeans with black combat boots, and that if Rachel looked into Michael's eyes he would see that they were not longer hazel in color, but emerald green with blood red outlines and they seemed to shine like the gem in the light as Michael looked at Rachel and say simply " Well well... What can I do for you? " and even as Michael looked at her he instantly realized why she was so odd, she was a Ziamichi and a rather strong one from what he could see and he would also realize that her energy was much older then her looks, as she looked like she was 12 but her energy was easily 18 to 20, which was extremely odd and told him something else about her. Rachel smiled widely, and then with a crackling sound and a flash of electricity she moved, her speed that of a shinigami's flash step, electricity lining her shoes as she moved. Her hands wrapped lightly around the man's neck as she grabbed on to him, giggling happily. "Piggy back ride, piggy back ride! I want a piggy back ride!" Noticing his tattoos she poked at his chest as she hung there, looking at them with her curious eyes. "What's these pictures on your skin mean mister? Do all men have pictures on their skin like you do? Oh, oh, mister! What do you want to dream about tonight? If you make me happy I'll make you have really, really good dream tonight, whatever you want! However, I can also make you have horrible, horrible nightmare!" Her eyes twinkled as she tried to make this deal with him. If he played with her, she would give him whatever dream he wanted. However, at the same time she was threatening to give him the worst nightmare possible. She giggled slightly, still hanging on to him as she awaited his answer to all these questions. As Michael looked at her for a moment, she would vanish using what seemed to be very close to a Shinigami's flash step, but Michael's own speed and agility allowed him to follow her movement with some amount of ease. Michael watched for a moment as she wrapped her arms around his neck and then he would regret his choices as she started to talk like a four year old. Michael then felt her finger pressed against his chest and he listened to her questions, and he could not help but laugh slightly as he heard what she was asking and he could not help but say " Trust me.... my versions of a good dream are nightmares for normal people.... so you are not really giving me anything to go by, and you threatening me, even if you are as cute as you are is not going to help." Michael would then seemly vanish, as he used his full strength and speed to go forward, the strength in his legs causing the ground nearby destroying the ground around them and nearly collapsing the castle walls as he ran. He would run though the forest, jumping off the trees to make this piggy back ride entertaining as he would also break the trees just due to the amount of force he was putting on them as he ran at full speed, showing just how fast he was as he ripped through the forest at an insanely high speeds. She giggled as he ran, the wind howling at her ears, the sheer speed with which he was moving was amazing. For a few minutes she just hung on, laughing happily. Then she whispered in to his ear. As she said it, the palm of her hand rippled, a small metal knife sliding out of it. It was about two feet in total length, and the blade's sharpness was extreme. Quickly the blade came down, aimed at his chest. Once she had stabbed him, her legs would curl on to his back, her hands flying away from him as she used his back like a trampoline, shooting off, then a crackle of electricity, and she was up in a tree, giggling madly. Well, she owed the man a good dream, and she had had a ton of fun. Sighing, she stretched, and then sat down, cross legged, before starting to talk to herself. "Guess I need to talk to Quor Tarai now, since I owe that man a really good dream. What shall I do after that, this place is so boring. Wish there was something to do around here, why did Quor Tarai send me to this place anyway? Hm... someone shrouded in darkness and death... nope, haven't met anyone like that yet." Michael did this for several minutes, just running though the forest in basically what was a giant circle because he didn't really know what else to do. As Michael ran though the trees, he heard her giggling and having a good time but while he was doing this he was examining her reaistu structure for weaknesses and strengths, trying to see if he could figure it out but he only got a very faint picture of what it truly was. He knew he was going to need a blood or DNA sample of her to get the information she finally needed. As Michael was thinking about this, he didn't even realize or see the knife coming down at his chest until it was too late to stop it, and as it came into contact with his skin he would smirk slightly at how little true strength there was behind it and even as the blade, which while it was extremely sharp, if it didn't have the strength to back it up it made very little difference to Michael as it hit the center of his chest and didn't even leave a mark. She would most likely also feel the fact that it was extremely solid as if she would have to put in a lot more strength behind that strike to get it to pierce Michael's skin. Michael was so surprised by this that he could not even activate his powers before the women had thrown herself off of his back and shot off into a nearby tree. Michael had heard all of the words that she had said to herself and he could not help but start laughing like a manic. Michael tilted his head back as he laughed, as if he had finally lost his mind before what appeared to be shadows started to get pulled out from the bottom of the trees and start to surround him starting at his feet and going to his head. Once it reached his head, the shadows would just vanish into the night with Michael inside of them. As soon as Michael left the crack of lighting would be heard along with the roll of thunder, as if a massive thunder storm had just come in and it instantly started to down pour. As the leafs got hit by the liquid that was falling from the sky, even though she was under a tree one of those drops of blood hit Rachel in the shoulder, and if she looked over at it she would realize that this was not water, because it was red and as the smell would begin to grow larger, it would not take a scientist to figure out that this was in fact blood. It was raining blood.
" Well... well.... It appears you should have listened to your demon sealed inside of you, because he knew that someone here would be a problem.... Though he forgot to leave out the part that I am also a surrounded in the blood of the damned. " This voice was Michael's voice but it appeared out of the darkness, as Michael was currently on the Plane of Shadows speaking into the Material Plane as he said this. As the world around Rachel was covered in blood of the damned, she noticed, if she was looking around for the voice, that most of the living things around them started to die as she would watch as a small squirrel was attempting to get home to its hole in a tree when it was hit by a single drop of the rain and instantly started to fall to the ground and move around in pain and agony as the raindrop seemed to act like a very powerful acid on the skin of it and started to eat though the flesh, muscle and bone. This squirrel only lasted thirty seconds, but it was clearly extremely painful before he died as Michael's voice would appear out of the darkness again.
" So you say that you can change my dreams..... let's see how well you handle this nightmare" Michael would then take a single step out of the darkness, appearing in front of the girl as he would reach down and grab the squirrel that had just died, and in some form of demonic magic turned that squirrel into a small orb of blood and with a simple flick of his wrist, Michael spread the blood out making an arc and then that arc of blood would glow brightly for a moment before shooting forward into the tree line. This line of blood might as well have been a Hadō 33 with how powerful it was and how it destroyed the tree line in front of Michael for several hundred meters in an wide arc. This was aimed at the ground level of the trees, as it was meaning to sever the trees from the ground so it would fall over and then make the fight easier for Michael. As the blood rain began to fall, Rachel looked around, noticing the death of the animals and trees around her. Her body rippled, a pendant appearing around her neck. However, this wasn't any ordinary pendant, the circular disk, one foot in diameter, contained technology that projected a force field around her. Sure, it may not have been discovered yet, but it existed within a dream, and that was all that Rachel needed. The blood would hit up against the force field, both his attack and the rain, but merely run down the sides of it, never getting close enough to touch her living flesh. "There is no demon within me, only Quor Tarai. Also, are you saying you're the one who Quor Tarai mentioned? I dunno, you don't seem scary enough. Then again, I've seen every dream that has ever been dreamed, all of them. Hm.. What did Quor Tarai say again? Oh yea, that he will be interested in you, and that I should be nice to him. Quor Tarai said he could help me, and that I should explain my existence to him." Sighing, Rachel shrugged, then looked in to the man's eyes. "I guess if you really are the person I was sent to find you would want to hear this, and if you aren't, it doesn't matter. Anyway, I'll start with Quor Tarai. Quor Tarai is the spirit of the plane of dreams, sorta like being a god of all our dreams. Whenever anyone dreams, they travel to the plane of dreams, and dream with a small subsection of the plane of dreams, called a dreamscape. Quor Tarai brought me in to existence by pouring a huge amount of energy in to a dream. I am a gateway to the plane of dreams, a door way, and so far as I know, the only doorway to the plane of dreams in existence. That's where this force field generator and that knife came from, the plane of dreams. I can pull anything from the plane of dreams through myself, and in to this world. Ever since I came in to existence I've been exactly like this, I never age, my hair never grows, unless someone cuts it off, and then it grows back over night. Anyway, is that interesting enough for you?" As Michael's attack went ripping though the trees, he watched as her body would start to ripple slightly, as if it was simply made of water as a small disk came out of her chest, and even from this distance he knew that it was some high tech level stuff. It seemed to glow for a moment and suddenly a nearly invisible orb would appear around her and he would watch as the shards of the trees and the rain of blood would run down the sides of this orb, giving Michael an idea of how large it was and even it was only acouple inches off her skin it was enough for him to realize that it was there. Michael had no idea how strong that shield was, but he didn't have enough time to think about it as he was quickly absorbed in what she was saying. Michael listened very closely to what she was saying, and one phase stood out to him " Quor Tarai brought me in to existence by pouring a huge amount of energy in to a dream. " and " A portal to the dream world" and Michael instantly became interested in her and what she was. Michael then suddenly became very worried that he might have hurt her, even with the force field and he would raise his right hand and snap his fingers and the rain would stop falling. He would walk over to her and he would reach down and place his hand on arms, but he realized that he was not touching her skin and he would ask " Can you take down the force field... I have no interest in hurting you anymore.."
If she allowed him to do so, he would place his hands on her skin and he could feel that under that skin he could feel the blood flowing though her body and the muscles under that and he would reach up and place his fore-finger and his middle finger against her jugular vein as he would start to take her pulse. As he felt her pulse and took count he realized that she was extremely human, even down the muscle structure of her body down to her heartbeat. Michael could not believe this, and his mind would go through what it would take to bring something from the Plane of Shadows into this world, and then keep it permanently manifested in this world and just the sheer amount of energy it took to make it this perfectly. Michael was a regeneration expert, someone who knew what it took to make the body work perfectly and what it took to replace the parts of the body that were removed in terms of reiastu and energy and to create a fully working body AND keeping it from aging, is something that is insane for him to imagine and not something he would even dream about.
" So... you are a portal.... and your person is what is keeping you in this world..... If he were to be removed, would your body vanish or does he have enough energy in you to keep you moving? And if he does have enough energy in you, can you still pull things out of the dream world or does his power alone do that? " As Michael did this, he would use his reiastu draining ability, and focus it into his finger tips that were against her throat, trying to gain a reiastu sample from her for examination at a later date and it did not have to be a lot only enough for him to put into his machines later. Michael was going to learn as much as he could about this little girl, even if he had to protect her to do it. At his request, Rachel pressed a button on the side of the device, the force field disabling with a popping sound. She listened to him, not realizing it as he took a sample of her reiatsu. When it got down to analyzing it, he would realize that there seemed to be two presences mixed together. One like the ever brewing storm, lightning and thunder, sonic booms and crackling electricity, the energy of the storm. Then there was another presence, an alien one, one outside of this realm. It felt like every wish that could be granted, every nightmare waiting to come true, at its very essence, it felt like every dream of every being, from the beginning of time until now. While the dream like presence was obviously weaker, it stood out more, its alien presence making it easier to sense. Once he was done talking, Rachel would reply, answering his questions. "Remove Quor Tarai? Such a thing is impossible, it isn't feasible. I told you, he is the spirit of the plane of dreams. Without Quor Tarai, the plane of dreams could not exist, so Quor Tarai will always exist. To be honest though, it is not Quor Tarai's energy that is keeping me in existence. Long ago, on a distant planet there lived a race of giants. Beings from the plane of dreams, called the Quori, they invaded the giant's planet and attacked. They were psychic parasites, and they infected a human like race that lived in peace with the giants, taking over their bodies. The leader of the giants, called the Stormreaver, he cast a mighty spell. With this spell, he forced the plane of existence away from this plane, the material plane. The spell held it as far away from the material plane as it could possibly go, keeping it out of alignment for millions of years. 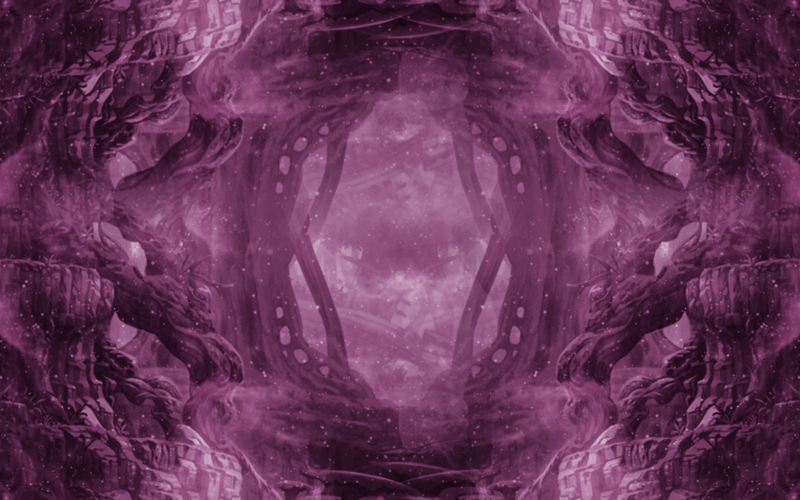 The evil Quori who wanted to invade the material plane were eradicated, both within the plane of dreams and on that ancient giant's home world. Eventually, Quor Tarai managed to redirect this energy in to a dream, causing me to manifest in to this world, and become the only known gateway to the plane of dreams. You see, while it was out of orbit, all the old gateways died, and the only way to get to the plane of dreams was by having a dream while you slept. For the most part, my ability to bring things from the plane of dreams to the material plane is not connected to Quor Tarai. Because I am the gateway, I can open up and pull things through, as long as they exist within some dream on the other side. However, even if it doesn't I can invoke my connection with Quor Tarai to create a dream object that I want. Anything else you want to know?"